The past will come to life this Memorial Day Weekend at Pioneer Village Heritage Days! 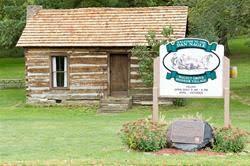 Sunday May 27 and Monday May 28 from 11 a.m. – 5 p.m. make plans to attend Pioneer Village Heritage Days at the Dan Nagle Walnut Grove Pioneer Village (18817 290th St Long Grove). Admission is only $2 for adults and $1 for children. Come enjoy the Wapsi Wranglers Wild West Shows! You will have an opportunity to witness blacksmithing, weaving and basket making. Native American dances by Native American Coalition of the Quad Cities is destined to entertain the entire family. 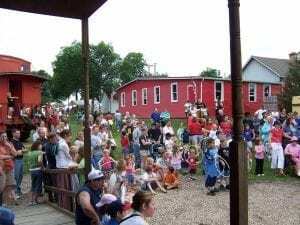 Between the kids’ crafts, rope making, visit to the one-room school, ice cream, food tents and Iowa’s finest Kettle Korn there is bound to be fun had by everyone! For more information on this event, please visit https://www.scottcountyiowa.com/conservation/post/2018/05/27/pioneer-village-heritage-days. Celebrate Memorial Day by taking a step back in history, this weekend!